Hello & a NEW Vlog! Hi there! Yesterday morning started out at yet another doctor’s appointment but no blood had to be drawn (yay). 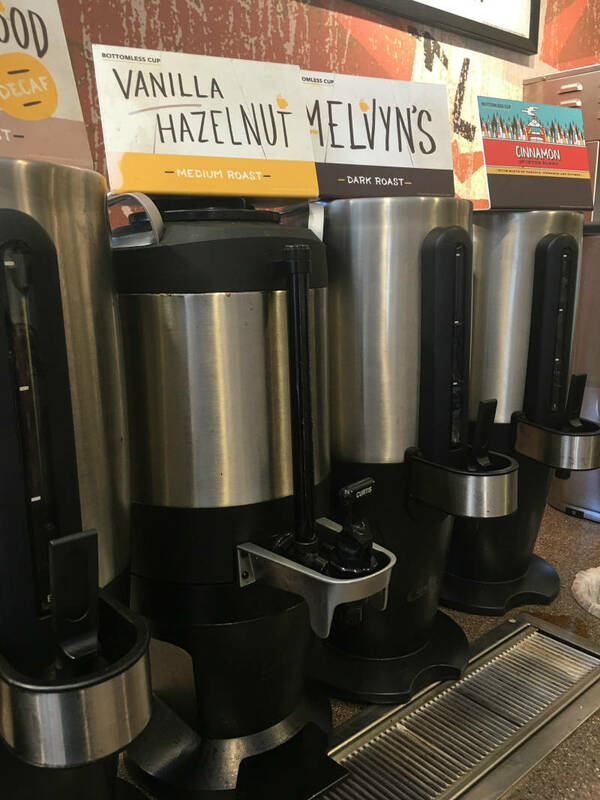 I left and immediately stopped to get myself a cup of Vanilla Hazelnut coffee from Einstein’s. I swear this is the best coffee in the world! I don’t have any concrete update to give you today about what’s going on with my calves, trust me I wish I did! The blood work on the electrolytes and hashimotos came back negative. I do have psoriasis, and that can cause some swelling in the calves and ankles, but I don’t know if I buy that this is the main cause of my calf issues. I do believe it’s the cause of these little hives I get on my face every day (so itchy and annoying). I’m also glad to have an answer as to why my nails are sometimes really strange looking. I just don’t know what to say about my calves and that’s so frustrating… it seems like the faster I run the less my calves bother me, and I have no idea why that would be. At least it should mean that race day isn’t affected! On a more positive note I have a NEW VLOG to share with you today :). Most of this was filmed on Monday when I went and ordered our new furniture. I’m going to vlog on Friday as well when it gets delivered so you can see it in the house (YAY, cannot wait)! If you take a minute to watch, thank you! In 2017 I want to do a lot more video content and I have so many ideas for that floating around in my head. I need to get them down into a spreadsheet so I can start planning!!! Actually I’m off to do that now. I hope you have a great day. Talk again soon! What types of videos would you like to see? What’s your favorite type of coffee to buy? New Running Clothes + 6 Miles! So if the calf problems aren’t a medical issue, do you think it has to do with your form? I have read that if your glutes aren’t firing then your calves have to work more…maybe when you run fast your glutes work more? Do you notice if they feel better when you run uphill (which should engage the glutes)? Just a thought…I hope you get it figured out soon! I’ve definitely been thinking about that, but I don’t know why my form would have changed. I’m wearing the same shoes, running on the same mostly flat course and am not experiencing any known issues that would cause my form to change. You may be right though because they definitely feel better when I run faster AND when I run uphill. Maybe along with my commitment to the super slow Hansons easy pace my form did change because I was/am too relaxed. I will definitely have to be conscious about form tonight and see if it makes a difference! That stinks that you don’t have many answers about your calves. Did they check your lactic acid levels? I can ask around to some of my PT and sports RD friends if you want! I cannot wait to see your new furniture! I respectfully request massive amounts of photos and vlog coverage of your new home, new furniture, move in, decorating process… all that stuff!!!! Oh, forgot to say – when my hamstrings hurt a lot, I also found it more comfortable to run faster. Those slow Hansons runs were killing me! The final “fix” for me was an awesome sports massage therapist who did something magical and then they felt better. It was truly a miracle!!! I hope you can get the calf thing figured out. For me , it just took time and the maintenance things like my massager and calf raises..etc. That is so fun you are ready for furniture! That stinks you had cloud cover for super moon night 🙁 It really was quite a sight. Vlogging, I think I gave up on that. I’ve recorded a few videos but every time I edit I think I sound stupid and delete the video lol. Someday!! Hate to say but I think the shoes may be causing the calf tightness. Might be time to be reanalyzed. Doesn’t hurt to get checked out. Are you getting treated for your psoriasis? My eczema was really bad this summer and I got a new treatment plan for it, and that has made my life so much better. I’ve been finding that a week off + downward dog + supportive shoes at work is helping my calves. Sometimes I think they just need a break! I know you got new shoes recently…is the heel/toe drop the same as before? Sometimes that can mess with your calves, too. I an being treated for the psoriasis and even though it’s been less than a week I am feeling so much better! The Glyerines have a 10mm drop and the Adrenalines had a 12mm drop, but when I switched to the Glycerines earlier this year that actually helped for a bit so I don’t think it’s that. Someone else suggested it could be that during my super easy runs I let my form go lax, which seems to make sense since my calves tend to feel fine when I run faster. I need to spend more time analyzing my easy runs!